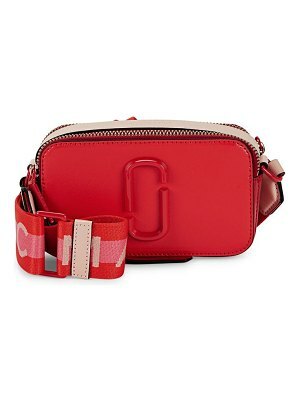 Marc Jacobs has here reinvented his "Snapshot" crossbody bag in a print finish. 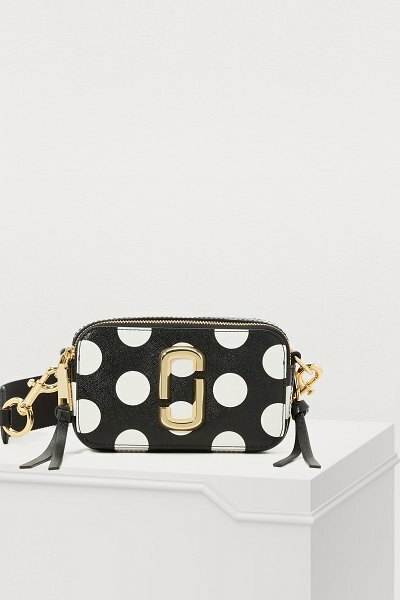 The textured leather with tonal stitching is decorated with XL polka dots, for an on trend, two-tone look. The double J logo, zip and fastening are in a bright gold metal. 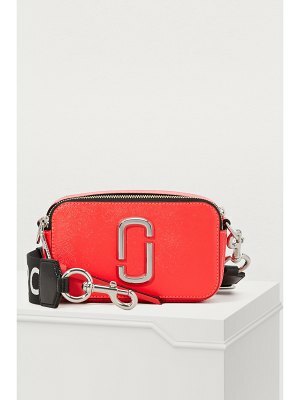 Show off this bag to its full potential by wearing over your shoulder with a plain jumpsuit.